Grew Up… among the elves of Middle Earth. He belongs to an immortal race whose ears are pointed and eyes are sharp. He learned the elven ways of combat at a young age, mastering archery and the use of long curved knives. Legolas is prepared for the war that lies ahead. 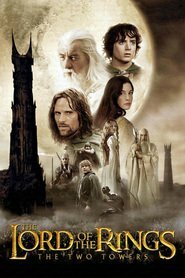 Living… with the Fellowship of the Ring. 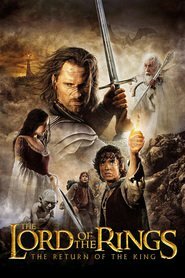 Legolas quickly joined forces with the hobbit Frodo Baggins and company, seeing that a ragtag bunch of hobbits were going to need some serious protection if they ever wanted to complete their quest and destroy the Ring of Power in Mount Doom. Legolas readily offered his bow, which naturally inspired Gimli the dwarf to volunteer as well. Dwarves and elves have mistrusted each other for centuries, and both want to keep an eye on each other as well as Frodo. Profession… prince of the woodland realm. Legolas has undergone many tasks, such as being a messenger and warrior. As an elf, Legolas is charged with special responsibilities that involve gaining a wisdom of history and his people, and protecting his homeland from the forces of evil. Interests… nature, marksmanship, battle, and showing off. Legolas is constantly trying to prove himself a better warrior than Gimli. And though they’re both fierce fighters, Legolas is the cleverer of the two and thus arguably more effective overall. Just don’t tell Gimli we said that. Relationship Status… single. Legolas, for now, is married to the woodlands. 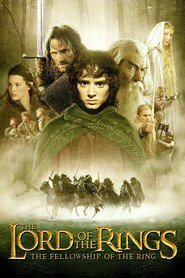 Challenge… protecting Frodo and the Ring from not only orcs, but also from himself and the other members of the Fellowship. The Ring of Power specializes in wooing even the most righteous of protectors, and turning them into greedy and dangerous opponents, hell-bent on stealing the Ring for themselves and therefore renewing the cycle of chaos and bloodshed in Middle Earth. Personality… gentle, though sometimes patronizing and pretentious. Legolas is wise and well-read, but he can be immature when it comes to bickering with those who disagree with him—especially Gimli the dwarf. Somehow, they always manage to work it out. Legolas Greenleaf's popularity ranking on CharacTour is #76 out of 5,000+ characters. See our top-ranked characters and read their profiles.